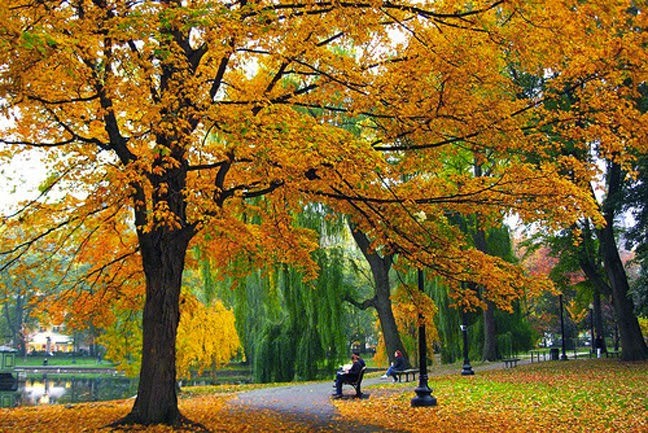 While breathtaking colored trees can be seen all throughout New England at this time of year, the city of Boston has many amazing sites where on lookers can gaze at the delightful fall scenery. Apple picking, pumpkin spice, Halloween, Thanksgiving, and cozy jackets would just not be complete without the infamous foliage that completes this season. 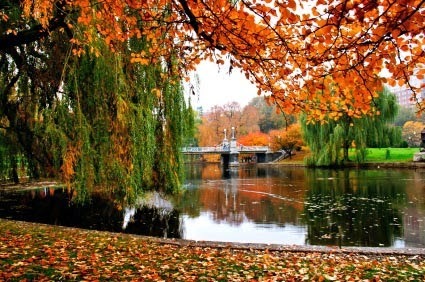 Start off your autumn tour of the city in the center at the Boston Common and Public Garden. Tree tops line the grassy hills, and during the fall they morph from a healthy green into fiery crimsons, warm oranges, and shimmering golds. With the Massachusetts State House in the background, it is a must see sight during this picturesque season. As you wander through the park and into the Public Garden, hundreds of planted trees and shrubs paint a sea of colors. If you are lucky and visit during the right time of the season, you can catch the weeping willow tree turn to gold on the shore of the Lagoon! The Back Bay Fens is another significant spot to observe the leaves changing, and it is a part of the Emerald Necklace along Muddy River. This man made park used to be a salt water marsh until it was landscaped and created into a marvelous nature spot. Also known as The Fens, this park holds one of two remaining Victory Gardens left in the country, which further proves why this site is a truly unique spot. As you gaze around prepared to be blown away by the aura of autumn hues. Arnold Arboretum, is a fantastic spot to take in the fall scenery. The Arboretum is located in Jamaica Plain, and is a 265 acre arboretum open free of charge from sunrise to sundown. With over 5,000 species of plants and trees, you are certain to see a mural of different leaves and vibrant hues. If you decide to make a visit on the last Sunday of October, you will be able to attend The Boston Fall Foliage Festival! Learn about different trees and shrubs on a tour complete with apple cider, story telling, music and lead crafts. This is the perfect way to have a more interactive foliage site seeing trip! There are also amazing fall colors within the city, such as in the South End. 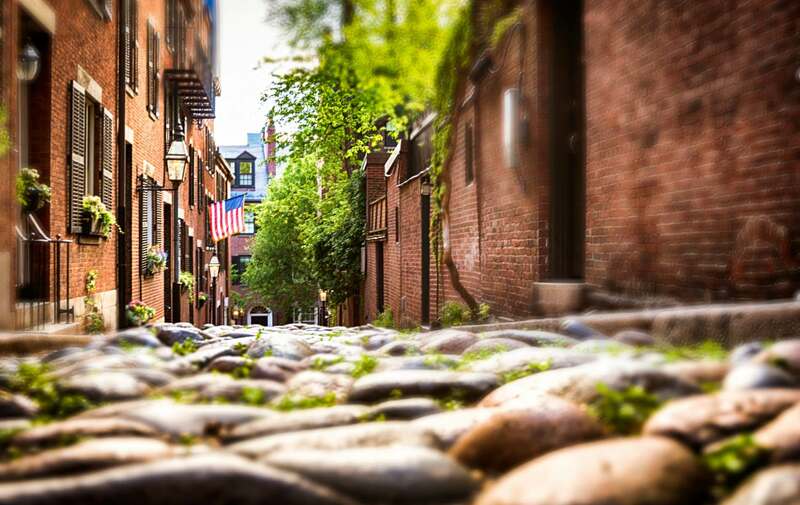 The South End has stunning brick work, and when it is surrounded by autumn leaves, it is a sight to see. The Clarendon Square Inn is located in the South End, and is conveniently near the T to get you to any nature spots, and is also in the heart of the South End’s exquisite scenery. Make sure you stop by, and check out more Boston and New England fall scenery on our “Fall in Boston and New England” Pinterest board!